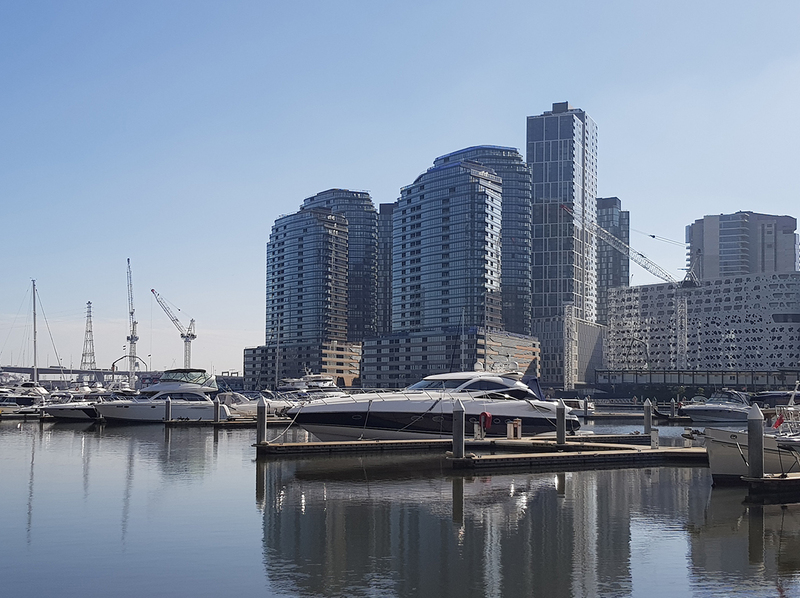 A couple of weeks ago, on a sunny winter's day I decided to go for a walk and take a few snaps around Docklands, not a bad excuse to get out of the office. 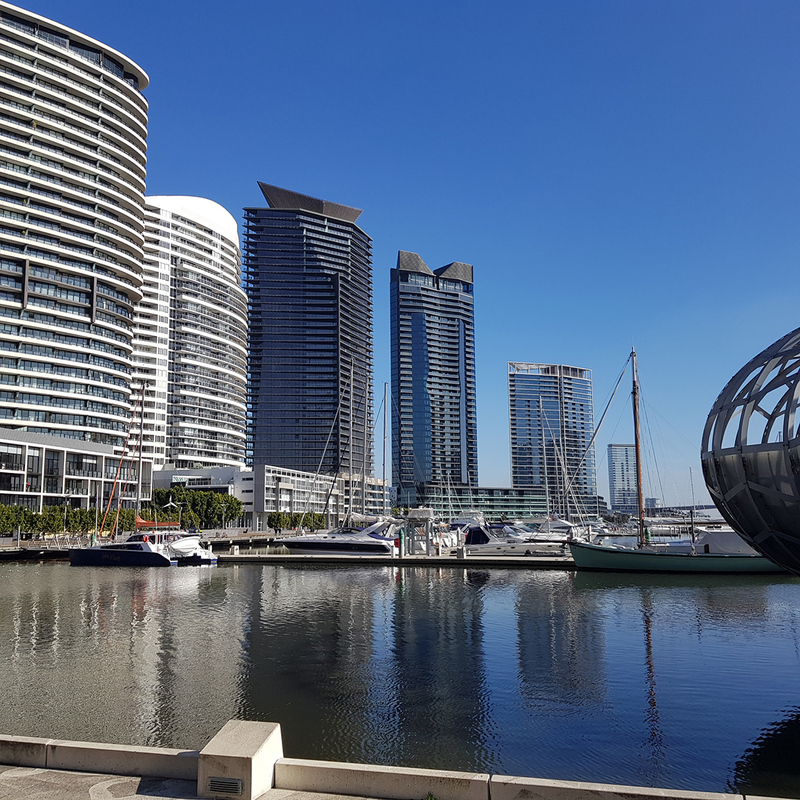 My walk started at South Wharf and after visiting Yarra's Edge, Victoria Harbour, NewQuay and Harbour Town finished up at Collins Square. 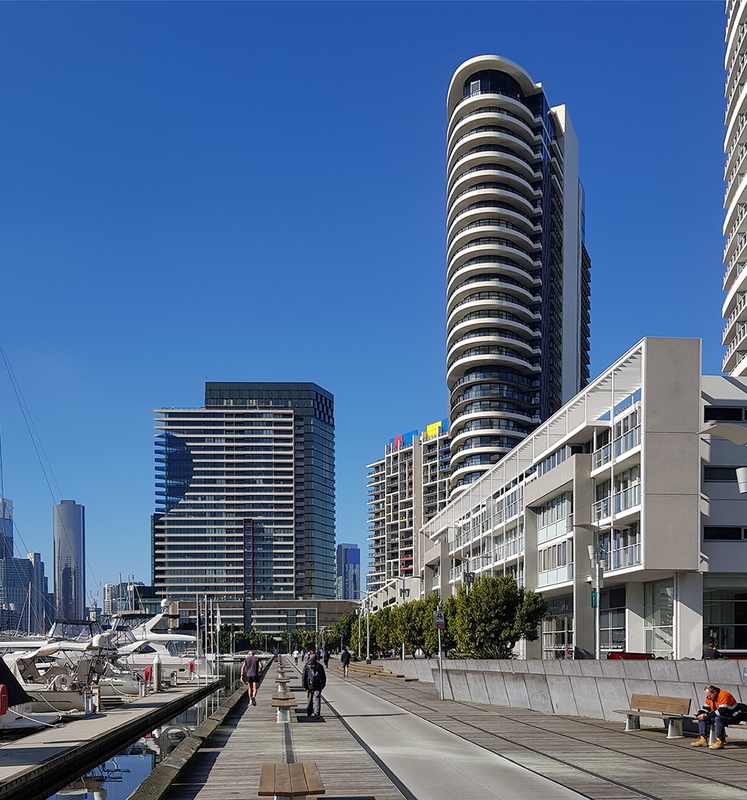 Looking towards South Wharf and Yarra's Edge. 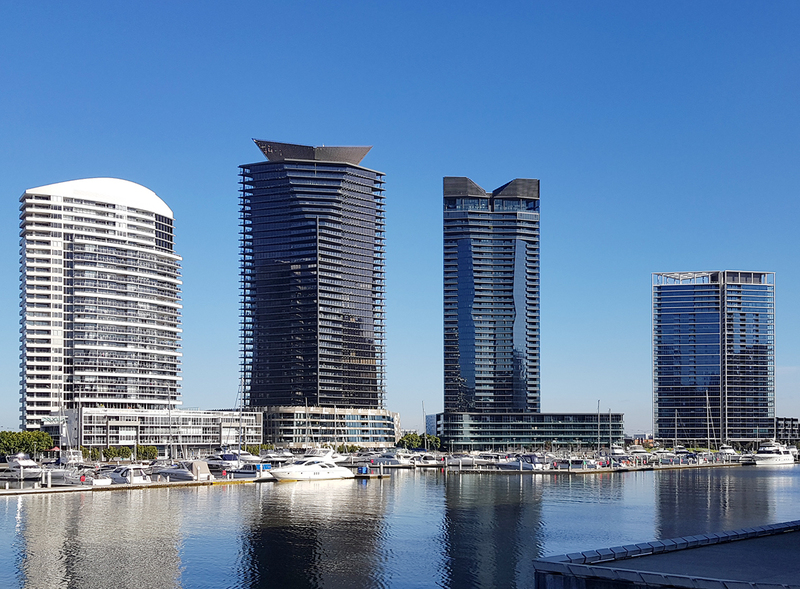 Today's piece is Part 1 of a visual essay on Docklands as it stands today with a bit of commentary on the various places, spaces and towers. All photos were taken by me on my Samsung Galaxy S8. During my walk I noticed many people walking around the area with several crossing the Webb Bridge from Victoria Harbour. 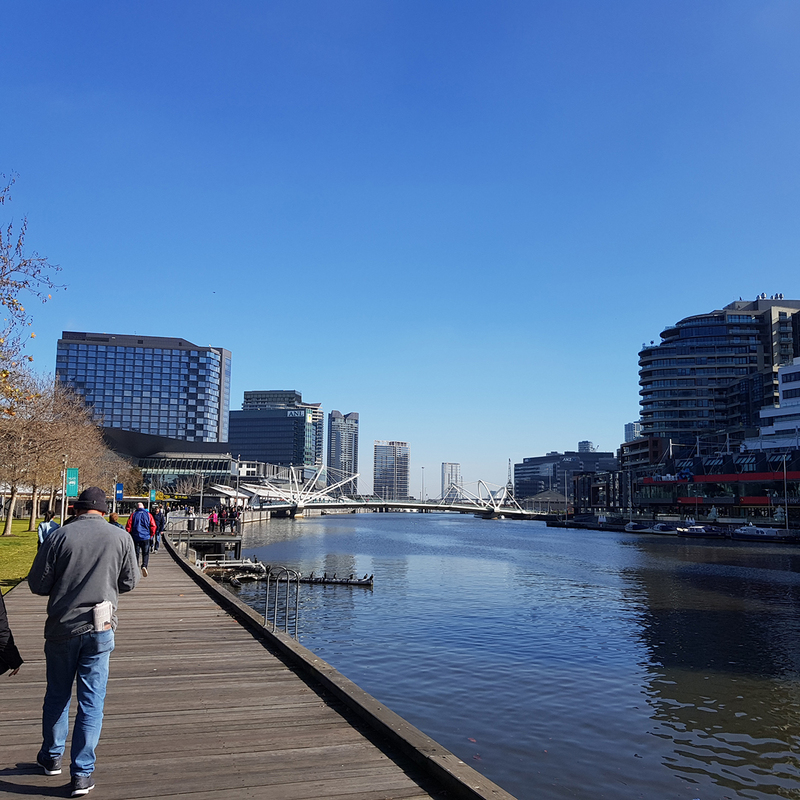 Some continued along the promenade through Yarra's Edge while others moved along towards South Wharf. 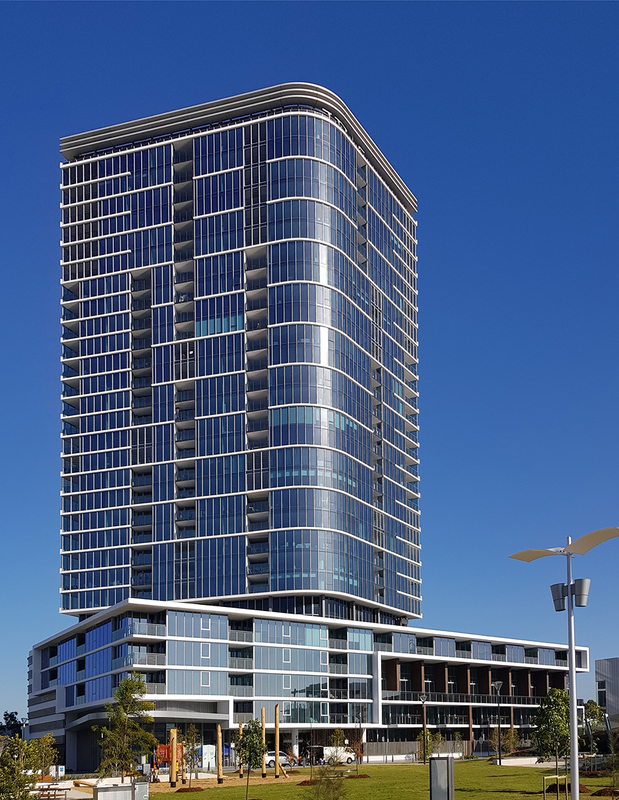 The promenade, being north facing is generally bathed in sunlight and well maintained with a number of food and beverage offerings and retail outlets fronting onto it. I also really like that they didn't just plant palm trees like at NewQuay. Despite the waterfront location, palms don't seem the most appropriate choice and don't really provide much of a wind buffer. 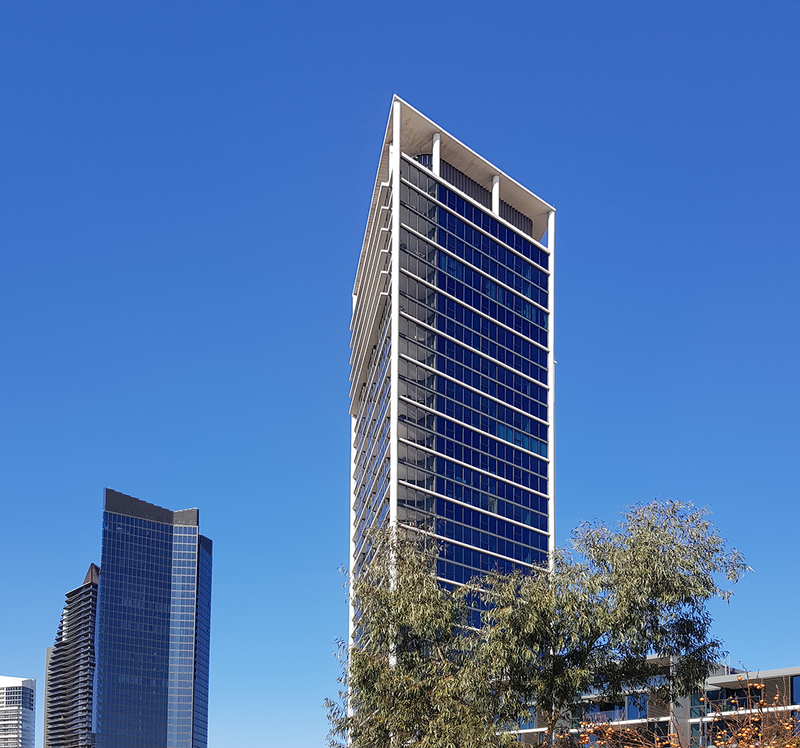 Yarra's Edge has until recently had a proliferation of white towers which seem removed from their context. One of my biggest criticisms of Yarra's Edge is that for me it has always felt too new and a bit sterile. 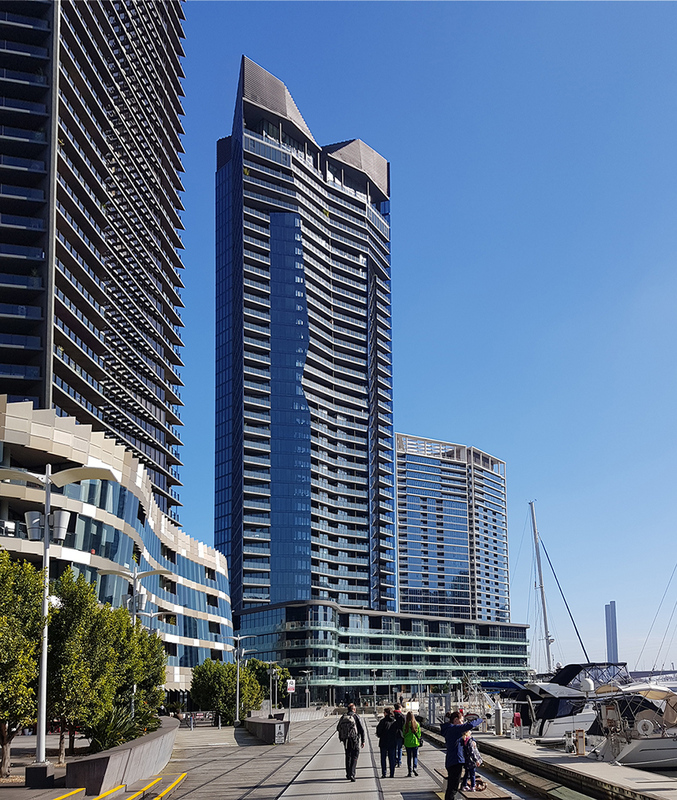 While it may be a difficult and subjective exercise to attempt to identify or to quantify a 'Melbourne aesthetic', the apartment buildings within Yarra's Edge (save for Wood Marsh's T5) seem not only removed from Melbourne but from the site's geographical and historical context; more appropriate in a beachside locale than within a former working port on the edge of a city. Further, the design of Array while attempting to mimic design aspects of T5 lacks the design rigour and finesse of its partner with the occasional flourish to draw the eye. The podium by comparison also leaves a lot to desired having previously adopted T5's visual aesthetic when Wood Marsh were involved following their competition win over a decade ago. T5 and Array are supposed to be a pair - a King and Queen - yet I think Array overall just falls short of achieving this. Array falls just a little short despite the best intentions of its designers. 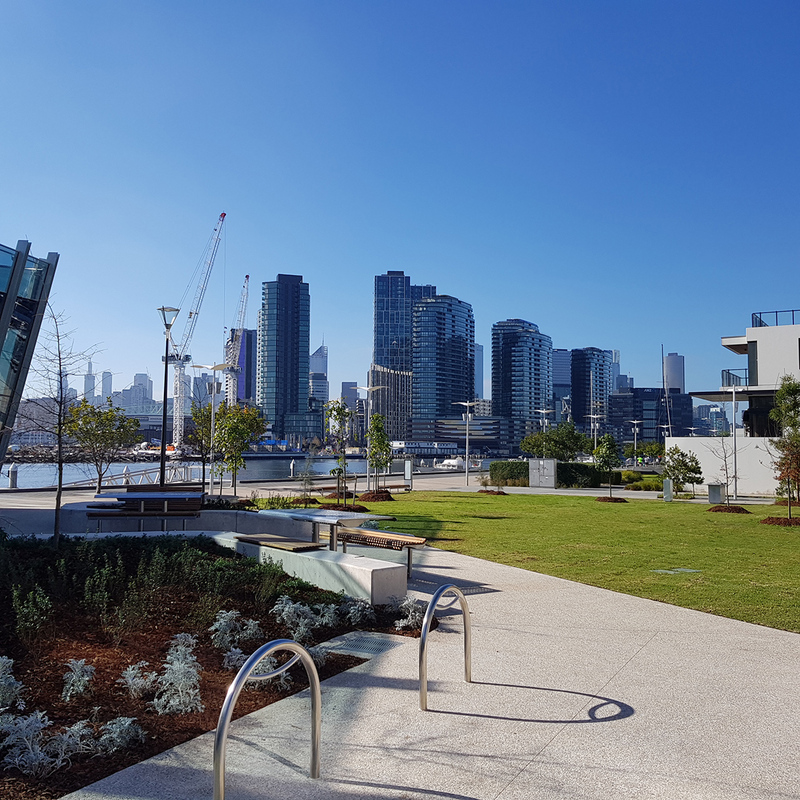 The provision of townhouses within Yarra's Edge, it could be argued, creates housing diversity in the area but I would argue that it creates a millionaires row that is a bit of a waste of prime waterfront land. A better outcome would have been 4-5 storey apartment blocks where piling through Coode Island Silt was too costly and problematic. This would have allowed for increased residential density and active, permeable street frontages rather than someone's front yard and possibly even opportunity for affordable housing. The Merchant and The Mariner at Victoria Harbour and NewQuay respectively are good examples of this. 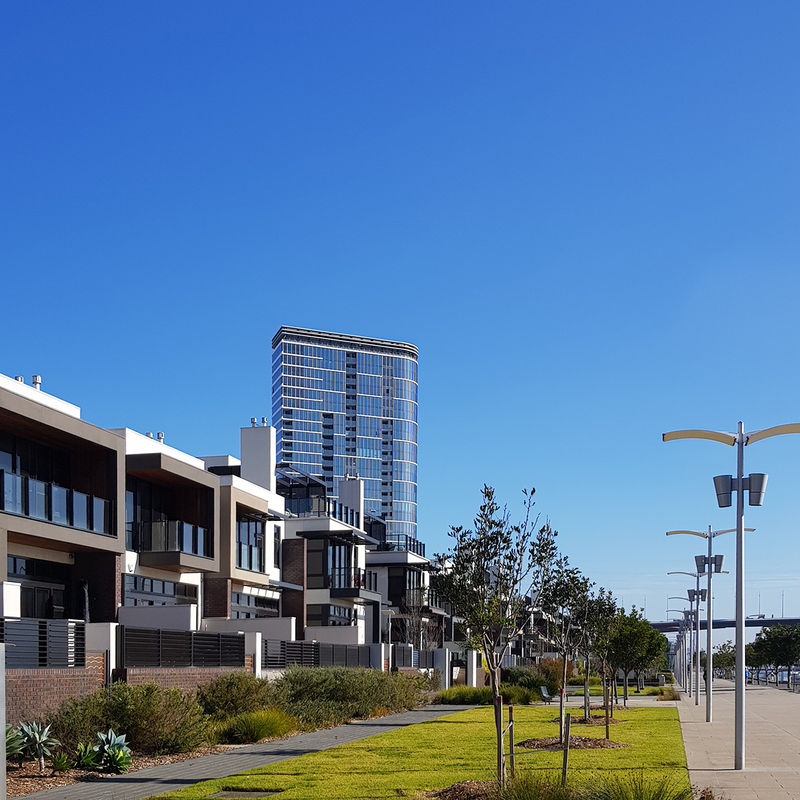 The Yarra's Edge townhouses front the promenade with the recently completed Forge rising in the background. 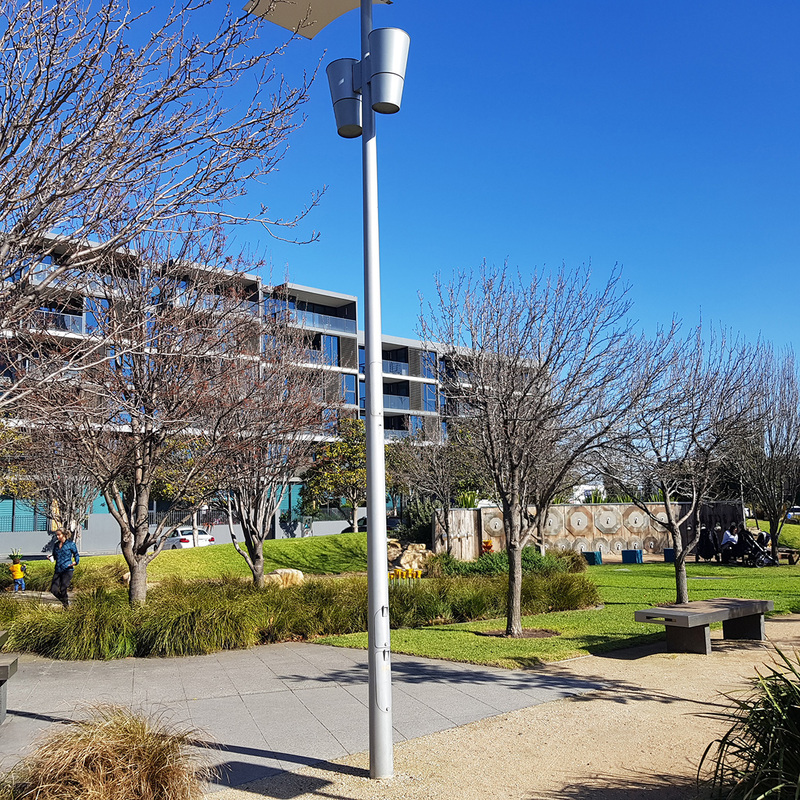 I think one of Yarra's Edge's biggest assets apart from excellent solar aspect is the provision of green open space such as Point Park and the tower's are all generously separated from one another with variance in height and with a bit more visual diversity. 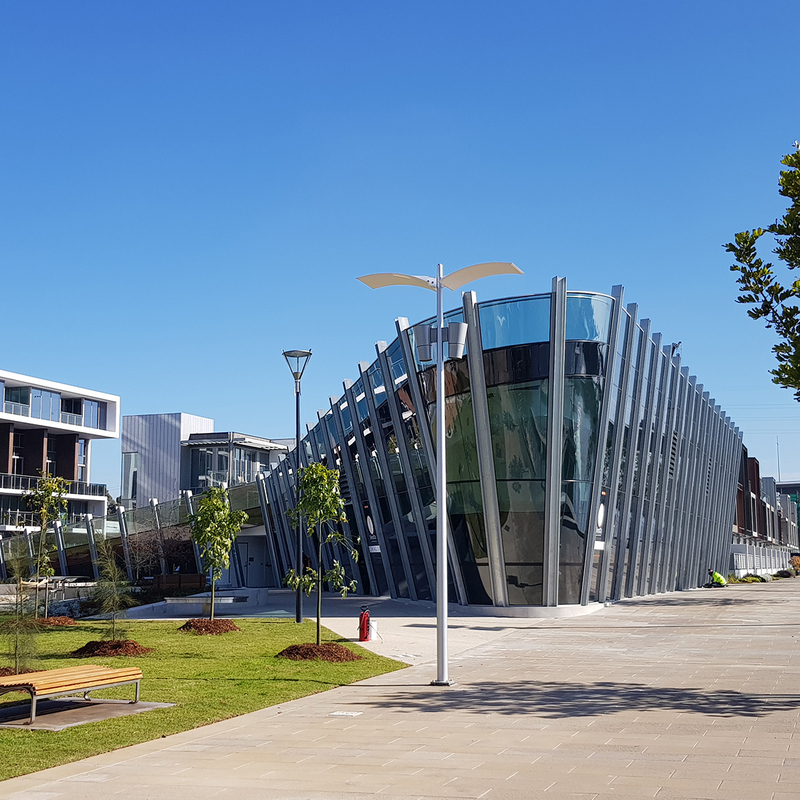 Overall I'm sure the residents of Yarra's Edge enjoy the precinct but I struggle to think of what exactly it offers for the rest of Melbourne. 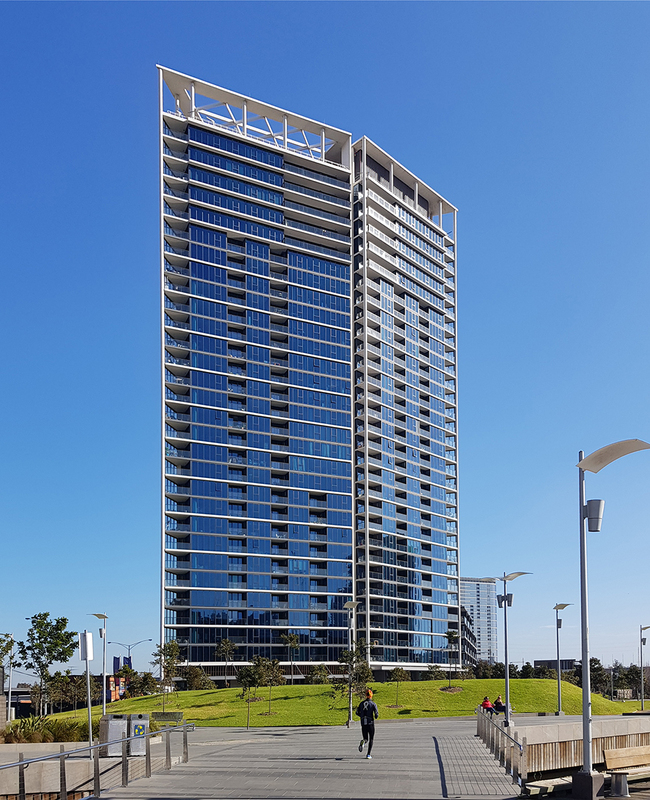 If you don't own an apartment or townhouse at Yarra's Edge what is the appeal to visit and dwell? What are the attractions? 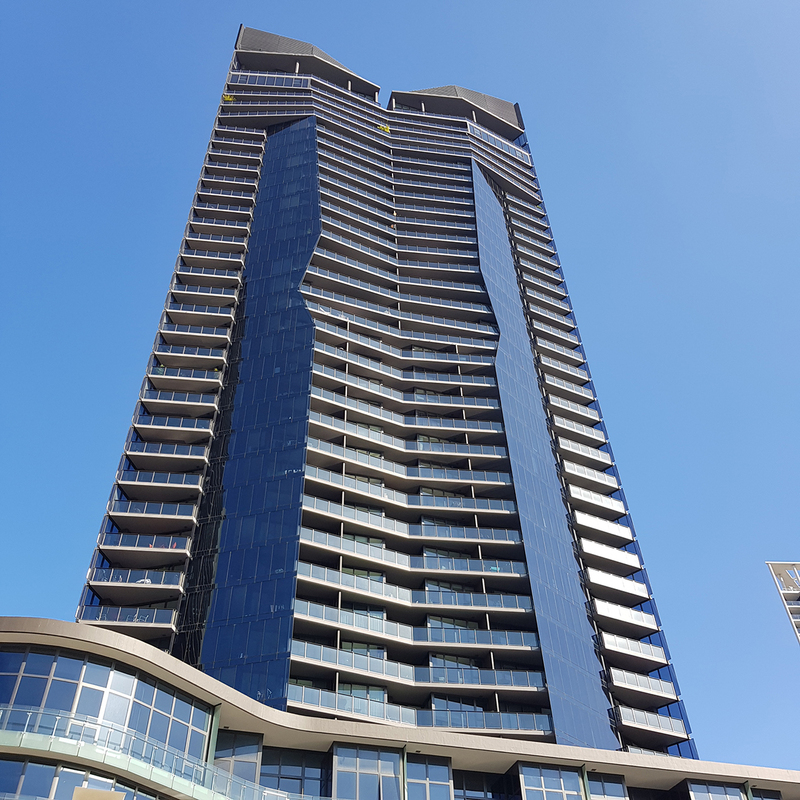 For more photos of Yarra's Edge, please refer to the slideshow below. Look out for part two (Victoria Harbour) later in the week. 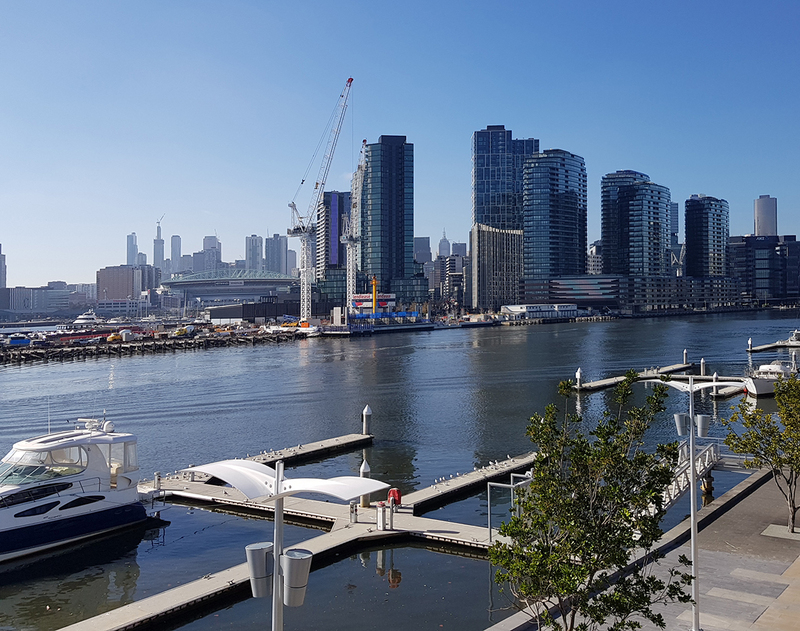 A view of Victoria Harbour from the Yarra's Edge marina. A splash of greenery along the promenade. The view from Wharf's Entrance to the city. 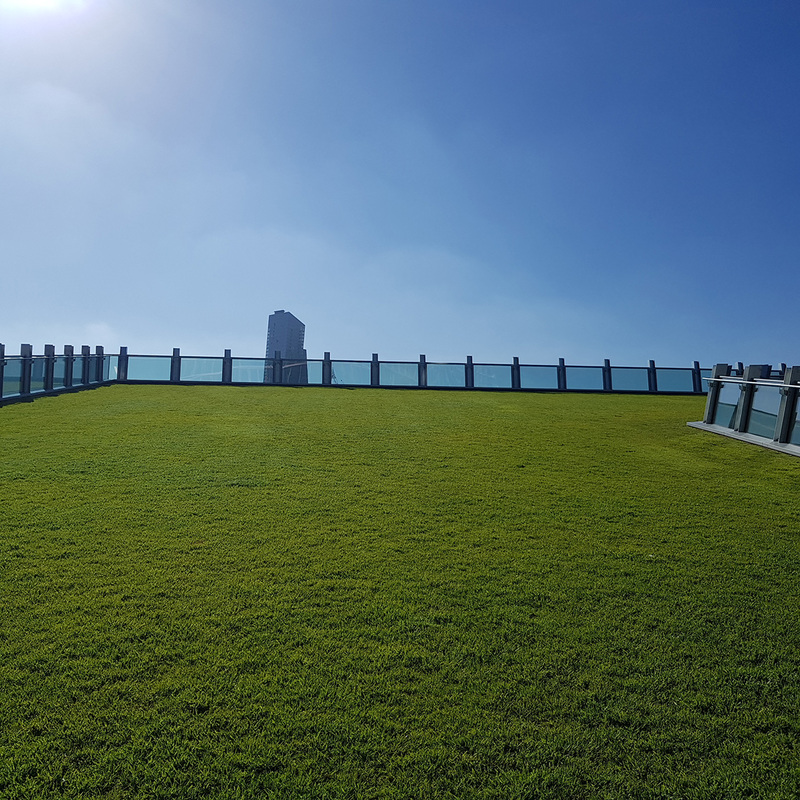 The pavilion's green roof. If only it served more of a purpose as a green amphitheatre. Although it does provide a good raised vantage point. Heading back along the promenade.